For years, I’ve been trying to figure out how to postpone and mitigate the accumulating fatigue that invariably is an unwelcome companion on long runs. I’m talking about the kind of fatigue associated with events that last a couple hours or longer. This is not about the short term fatigue that a full tilt 400 meter sprint around the track produces or even the fatigue of a fast 5K or 10K race. Decades ago, when I did my first Ridge Run and my first few marathons, I was clueless on how to successfully fuel and hydrate. I would start out at an easy pace – a pace that initially I felt like I could run at all day. But, after a couple hours into a long event, I would start to fatigue. And of course, slow considerably. That initial easy pace didn’t feel so easy anymore. Why? Over the years, I’ve learned plenty about fatigue. But I’m still learning. It seems every race teaches me something new. Looking back, there was only one event where I think I technically totally bonked or hit the wall. 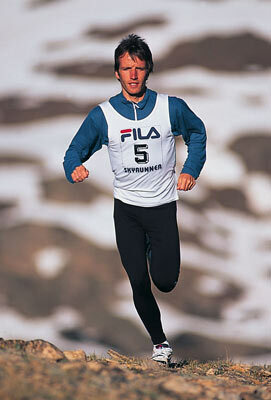 It was back in the mid 1990’s at the Fila Aspen Sky Marathon. It was back in the era when Matt Carpenter ruled the roost of trail running. He of course won that Aspen Sky Marathon. 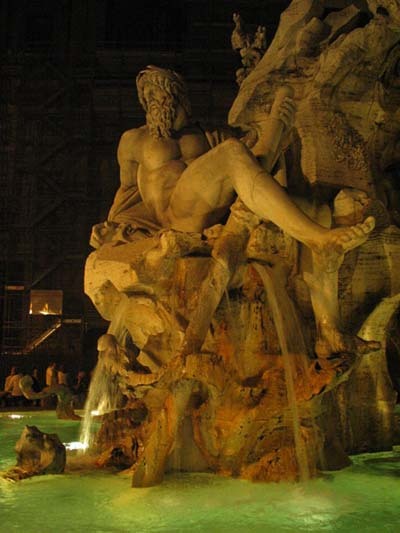 What was memorable about bonking was the utter fatigue and weakness I felt. Crippling fatigue left me unable to even muster more than a slow shuffle even when going down a gentle slope. Running was next to impossible. It was like being drugged. My body just did not respond. My foggy mind finally realized, ah this is what it is like to run out of gas and totally bonk. So this is The Wall so often talked about. 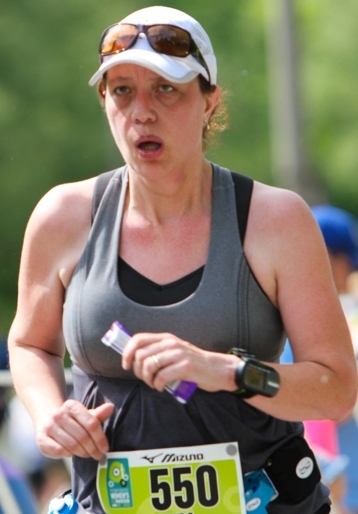 What also was memorable was the immediate energy boost and relief I got after crossing the finish line and commencing in the act of gorging on bananas, sports drinks and anything editable within reach. That fiasco taught me much. Ever since, I’ve been able to avoid that total level of fatigue. Yet in the 2012 Ridge Run, I witnessed more than a few people bonk. Even someone that I had trained with on the course this past summer bonked. At about the 2 and a half hour point into the race, I caught them and passed them trudging up Saddle peak. All they could muster as a response to my inquiry on how they were doing was “I am running out of gas.” They should have known better. My retort was to admonish them to eat, eat EAT! Their eventual race time was slower than our training times! When talking to them later, we figured they only took in about 150 calories total during the entire Ridge Run. What? Are you kidding? That is simply not enough. They said they did not feel like eating. Oh well. Live and learn. Obviously, there are many people still figuring out fatigue. Hence, the motivation to write up this dissection and analysis of fatigue and how to mitigate it. May you, the reader, learn faster than I did and not have to repeat my mistakes. Who you going to call? Bonk Busters. Honey, don’t just carry that pack of Clif Blocks in your sweaty little fist, start eating them and now! In my experience, there are 4 major types of fatigue. Again, I’m talking about the fatigue that comes with multi hour events. I’m talking about the fatigue that a runner only experiences in events longer than say a half marathon. In brief, here are the four types of fatigue that can set in on a multi hour event and compromise performance. It is helpful to take a look at each types of fatigue independently and figure out how to prevent or minimize it. My understanding of this subject and that of exercise scientist’s understand is ever evolving. What this blog post presents is the current state of knowledge – specifically my knowledge. Expect it to change as future experience supersedes it. Here is a table summarizing the Four Fountains of Fatigue. After the table, look for a more in depth discussion of each. The body has a finite and unfortunately very limited supply of easy accessible fuel in the form of glycogen or muscle sugar. This fuel source is what the body goes to first. The bummer is that there just isn’t enough glycogen reserves to sustain efforts beyond a couple hours. This reality is what makes the Marathon such a challenge. Humans do not carry around enough glycogen to fuel an entire marathon. You must either utilize some other fuel source in the body such as fat or add (eat) more fuel during the event. It is interesting to note the amount of fuel the winners of this past Ridge Run consumed during the event. Mike Wolfe used 4 Gels, Minde Erickson used 3 Gels and 20oz of Sports Drink. Daniel Kraft ate 4 Gels and Alyssa Larsen ate one and a half packs of Clif Blocks and 1 Clif Bar. Figuring a standard Gel is about 90 calories and 20oz of Sports Drink is also probably around 90 calories; Mike, Daniel and Minde all consumed about the same amount of calories at 360 each. 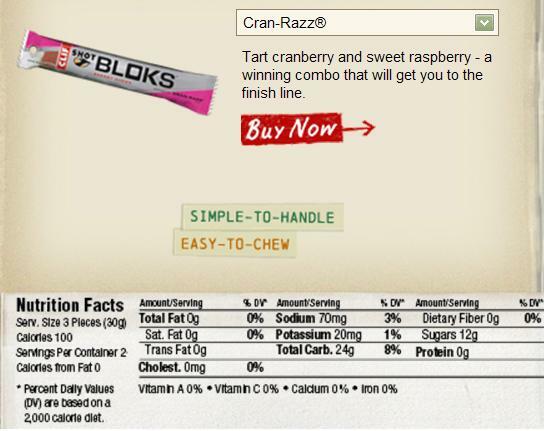 Alyssa’s Clif Blocks and Clif Bar total out at about 500 calories. In comparison, I feel like a glutton. Between sports drink, Clif Blocks and Gel I took in about 700 calories during my 2012 Ridge Run. 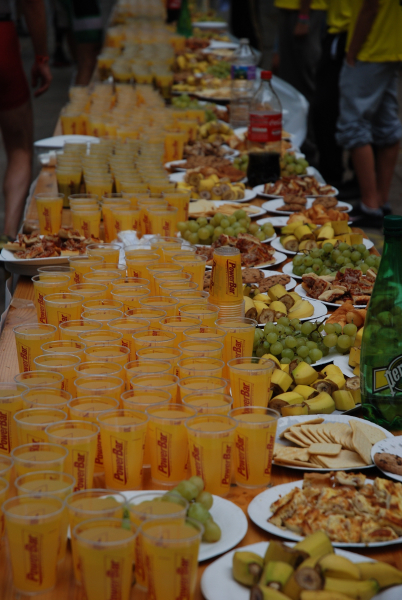 There has been a lot of research on the ideal amount of calories one should consume during long endurance events. The recommended values vary between 100 and 300 calories per hour depending upon body size, stomach tolerance and running speed. Values much above 250 calories per hour tend to trigger stomach problems. Values below 100 calories per hour are usually just not enough to sustain a quality long term effort. With the exception of Minde Erickson, all the people mentioned above consumed between 100 and 200 calories per hour. Minde’s intake was probably just under 100 per hour. Research shows that the type of fuel that is absorbed the quickest and causes the least stomach distress is a 50/50 blend of sucrose and glucose. There are many competing products out there with claims that their form of carbohydrate is the best. I’m not going to get into comparing and contrasting different carb types. In my experience, personal preferences play a big role. Experiment and try various concoctions. Personally, I don’t do well with Gels. I tend to have an immediate negative reaction when swigging down a Gel. My preferences are Sports Drinks and Clif Blocks (gummy bears). Other people thrive on Gels. Find what works for you. In a trail marathon this fall, that was perhaps a bit longer effort than the Ridge Run, I used Skratch Sports Drink, Clif Blocks and Vitargo sports drink. And that combination worked quite well. Over the first 20 miles (3.5 hours), I drank three 24oz bottles of Skratch Sports Drink (160 calories each). I started with a full bottle and then mixed bottles at aid stations. I carried the sports drink powder in a couple Gel flasks. At aid stations, I would pour the powder into my empty bottle and then add water available at the aid station. It takes a bit of time and I had to come to a stop in Aid Stations, but the hassle was worth it. Besides the Skratch sports drink I also gobbled down a pack (6 pieces) of Clif Blocks chewing down one block every half hour. This particular event only allowed one drop bag at the mile 20 aid station. In my drop bag, I had a stashed a 24oz bottle that had 400 calories of Vitargo mixed in water. By the time I hit the 20 mile mark, I was starting to get a sour stomach from the diet of Skratch Sports Drink and Clif Blocks. Chugging down the 400 calories of Vitargo in one fell swoop really gave me a boost. The next 3 to 4 miles after the Vitargo, I felt energized and picked up the pace again. Vitargo has a very bland taste. For me, it goes down rather easy. It was a welcome change from the sweet sugary Skratch Sports drink and Clif Blocks. Unfortunately, I started to fatigue again with about 2 to 3 miles left. By then the Vitargo boost had worn off. I tried to drink some more Skratch, but I just had no appetite for it. I wished I had more Vitargo! Realizing I could finish up the last couple miles without any problems, I choose to forgo further refueling. My pace slowed a bit and suffered from lack of fuel, but I made the decision to spare my stomach and tough it out – it was only a couple more miles, but they were the slowest of the day. Proper training can condition your body to become more efficient at using body fat instead of glycogen as fuel. Spare the glycogen and burn the fat. Humans typically have enough body fat to fuel many marathons back to back. So if you can burn the body’s plentiful fat and preserve the limited glycogen, theoretically you will never bonk. There are a couple training techniques to maximize the body’s fat burning skills. The simplest is to partake in long training runs of more than a couple hours in duration. Do these runs without consuming any carbohydrates. This forces your body to tap into its fat reserves just to get through the workout. The second method is to do your training runs in a fasted or glycogen depleted state. Running in the morning before breakfast is a simple approach. And to really further deplete your glycogen levels you can do an evening run followed the next day with a morning run. Make sure you do not eat anything in between runs. This method works well if you can only get out for a couple shorter hour long runs instead of a longer 2 hour run. Depending upon your health state and other nutrition factors, glycogen depleted runs can be a bit unpleasant; because you are pushing the edge of bonking. 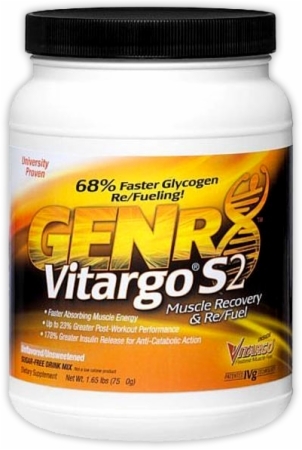 Glycogen Depletion, Prevent by Supplementing your Way to Fat Burning? Some supplements claim to increase your body’s ability to burn fat as a fuel. One is Vespa. I’ve given it a serious try and notice no difference in my fueling needs and must conclude it is not worth its pricy cost. Other folks (those sponsored by Vespa and presumably get all they want for free) such as Nikki Kimball and Timothy Olsen claim it reduces their fueling needs. They could be right? Give it a try if you have the spare $. Perhaps it will work for you better than it did for me. I like the taste and it did no harm. But at close to $10.00 a serving? Nope. Sorry, it has to have a noticeable effect for me to justify the $ or recommend it. Another supposed fuel that promotes fat burning is the so called Super Starch UCAN. America’s best marathon runner Meb Keflezighi promotes it. It is a specially processed form of corn starch. I do not find it very palatable. It is slowly absorbed; supposedly preventing your body’s natural insulin response. The claim is that it allows you to refuel without triggering carb utilization keeping you in fat burning mode. A close inspection of their data does show that it indeed absorbs slower than your typical sugar sports drink. Some of this is due to the fact that acording to their data about a third of the UCAN appears to be never absorbed. Hmmm? Perhaps not taking in as much carbs forces you to burn more fat? Duh. Why yes, isn’t that obvious. But caloric restriction seems rather counter-productive. 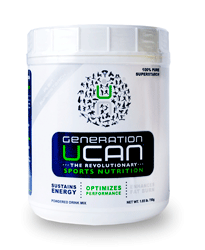 Personally, I do not like the texture or taste of UCAN. And the price for this type of modified corn starch is criminal compared to just plain old modified corn starch. Maybe it will work for you? Again, experiment and find what works. When you start factoring the cost of some of these fuels and the cost of a pricy pair of shoes, running can start to get expensive. Does a dollar or two a mile sound expensive? It sure does. 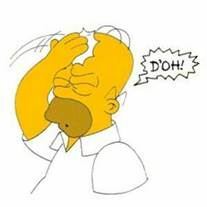 The IRS only allows you to deduct about $0.55 per mile and that is for vehicles. They would probably call into question deductions based on the cost of running miles. During physical activity, there is a complex bio chemical dance that takes place between your brain, nervous system and muscles. After hours of continuous activity and muscle contractions, the chemicals (neurotransmitters) that facilitate the communication between the brain’s signals and the muscles contracting begin to get depleted. You slow down, loose that zip and become tired, bored, unmotivated, fatigued and even sleepy. Eventually, you lose the desire and the will to keep moving at a fast clip. Your body needs to rest and reestablish the supply of neurotransmitters. This situation begins to set in after about 2 hours of high intensity physical activity. It becomes cumulative. It progresses until you restore your neurotransmitter levels either with rest or by eating nutrient dense foods. During an endurance event, you may crave a good meal of real food, but it can be impractical to chow down on a four egg spinach omelet or a couple of burgers. Both of which contain good sources of B Vitamins and Choline; the most readily utilized neurotransmitters needed to combat fatigue. Fortunately, both Choline and B Vitamins are available over the counter in supplement form. Many sports fueling products contain micro nutrients such as trace minerals, B Vitamins and Choline that help combat neurotransmitter depletion. One that comes to mind is Emergen-C. It tastes pretty good, is easy to carry and mix and when you are feeling low it gives you a bit of a boost. Super Orange is my favorite flavor. Hammer Nutrition has an assortment of products and supplements which target nutrient depletion during endurance events. There isn’t any I personally use as I find their products way overpriced. I just stick with a simple B Complex and Choline supplement in tablet form. 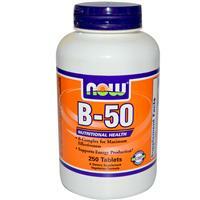 I’ve been using the Now Brand B-50 Tablets and the Country Life Choline Tablets. One B-50 Tablet is really all you need for a 4 to 6 hour event. You can take a little bite off it so you don’t get a huge dose all at once – perhaps a third to a half of a B-50 every couple hours. 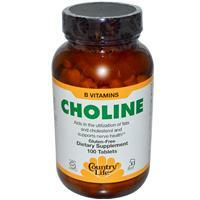 With the Choline tablets, taking a couple grams every couple hours works well. Most tablets are around 500 milligrams (0.5 gram) so that translates into taking 1 tablet every half hour. Tablets are more durable than capsules when jostling around in your waist belt. They also hold up better in wet conditions. These two simple supplements really help to keep my mood, attitude, motivation, mental and physical energy at a high level for hours on end. Every hour, I’ll take a little bite off a B-50 tablet and swallow a couple Choline Bitartrate tablets and I’m good to go. As the body gets dehydrated, blood volume decreases resulting in decreased oxygen carrying capacity. So the body and heart have to work harder just to sustain the same pace. If you maintain the same running pace as your blood volume drops, your heart will have to beat faster. This is known as cardiac drift. You will also start to breath harder as you try to get enough oxygen into your oxygen carrying compromised blood. To keep your heart rate from drifting higher and to keep from breathing harder, you naturally slow down as you become dehydrated. Also, as blood depletion progresses, your blood pressure starts to fall and you can feel weak and light headed. Toward the end of my recent trail marathon, I really noticed the effects of blood depletion. I had been drinking pretty good at about 20 to 24 ounces per hour. It may have been comfortably cool temperature wise, but my fluid losses were probably in the range of 30 to 40 ounces per hour as it was sunny and desert dry. After four hours, I was probably down a quart or two and my running was affected. I could chug along comfortably at a slow pace. I felt fine, but as soon as I picked up the pace to what would have been a more normal faster but still easy pace, I would be panting and out of breath. It was as if I was running full tilt but just not moving very fast. Even after finishing the event and just sitting or walking around, I noticed I was breathing harder than usual. This lasted for many hours afterwards until I finally got rehydrated and my body had a chance to start replenishing lost red blood cells. Obviously to prevent slowing down from blood volume loss, you have to hydrate. Depending upon conditions, it can be hard to drink enough to keep up with fluid loss. The maximum amount most people can drink in an hour is 20 to 30 ounces. If it is hot, sweat rates can be significantly higher than this and dehydration and the resulting blood volume decrease will occur as time goes on. Some ultra-marathon events track the weight of runners as the event progresses. If your weight drops too much from your start weight, you must pause and hang out at an aid station eating and rehydrating. Once your weight gets back up to within an acceptable range, you are then allowed to continue. Maintaining proper hydration is a balancing act as drinking too much can cause serious problems such as hyponatremia (low blood sodium). In addition to blood volume loss from dehydration causing diminished oxygen carrying capacity; the pounding activity of running damages red blood cells. This effect is probably not as significant as dehydration but it does compromise physical output on long events. You can think of blood depletion from dehydration and red blood cell loss from the pounding of running as a short term exercise induced anemia. So if there is anything you can do ahead of time to boost your red blood cell count, the more resistant you will be to this type of anemia. Obviously proper nutrition especially B-12 and Iron that is needed for blood cell creation is important. And if you can boost your Natural EPO (Erythropoietin that stimulates the body to make red blood cells) levels legally by living at high elevation or sleeping in an altitude tent – that works. The act of loading and using your muscles causes trauma to your muscles. In response to this damage, during recovery days, your body repairs and rebuilds tissue stronger and tougher. This is the act of conditioning. You can do a lot of muscle damage in a short period of time by exposing them to huge loads or you can do a lot of damage by exposing muscles to light loads but over a long period of time. As a long run continues, the damage to muscles is accumulative and progressive. The damage consists of micro tearing and destruction of the muscle fibers and cells. As damage accumulates, you will inevitably feel fatigue, stiffness, weakness and pain. As time goes on, the number of undamaged healthy muscle fibers decreases. There is less muscle to share the load and bear the burden. Fatigue sets in and you inevitably slow down. Certain types of loading cause more damage than other. The big culprit is eccentric loading. This occurs when the muscle is contracted, but simultaneously stretched or lengthened. The most obvious example is downhill running that eccentrically loads the quadriceps muscles. And “Blown Quads” is one of the most common, noticeable and limiting muscle damage people experience on long runs. But even running on level terrain, eccentric loading is experienced by nearly all the muscles in the legs at different points in the stride. It is common for the hips and calves to get tight and sore during multi hour runs. Are there any ways to limit muscle damage and mitigate its effects? You can mitigate the muscle damage by toughening and conditioning your muscles properly. Specificity is the key. For example, for the Ridge Run where steep downhills are the norm, it pays to condition your quads by incorporating downhill running into your training. There is a previous blog post talking about this. A toughening workout for level terrain would be to do a long easy run of about 2 hours and finishing up this long easy run with a few miles at quality fast race pace. The long run fatigues and damages the muscles a bit. Finishing up with a few miles at quality pace forces recruitment of more muscle fibers stimulating adaption of being able to keep running fast when your muscles have a bit of damage. 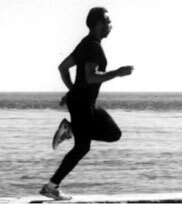 You can avoid muscle damage by utilizing a running form or style that minimizes the impact and pounding on your body. It is important to focus on maintaining form especially during a race event. Although they may not be the fastest or the most efficient way to run, low impact running styles such as POSE or Chi Running do have the benefit of minimizing impact. They emphasize gentle easy foot striking minimizing pounding and damage to the body. Taking in a bit of protein on long runs also helps minimize muscle damage. The body will start to break down muscle and catabolize muscle tissue as fuel if not supplied with a bit of protein as food. I take a couple grams of Citrulline every hour during long events. 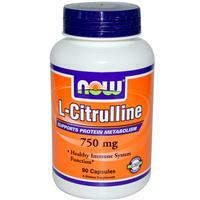 Unlike other forms of protein, Citrulline has the advantage of not increasing the body’s ammonia levels. Increasing ammonia levels increases the brain’s sense of fatigue – not a good thing. Avoiding fatigue is what this whole ramble is about, right? If you are well trained and are properly fueling and hydrating, then muscle and tissue damage becomes the limiting factor for ultra-length events. So run smart. Avoid falling and banging up your legs by needlessly pounding down the trail. The Bridger Ridge Run blog is an information portal for all those seeking to learn more about the Bridger Ridge Run event held every second Saturday of August in Bozeman Montana. This blog contains notifications about important registration dates and deadlines, history of the event, training advice and other stories and entertaining tidbits of information about the Bridger Ridge Run. This entry was posted in Race Guidance and tagged Blood Depletion, Fatigue, Glycogen Depletion, Muscle Damage, Neurotransmitter Depletion. Bookmark the permalink. Great blog and lots of helpful information! I would definitely add electrolytes in the neurotransmitter/cramping section. I’m finding in my own racing that electrolyte (calcium, magnesium, sodium, potassium) depletion leads to premature fatigue. Finally, there isn’t much research behind it but I would add acidic metabolic waste build up. I talk about it in my blog. It’s new and upcoming and I think will change sports nutrition. I also include tips on how to reduce fatigue ‘naturally’ in this write up. Thanks for pointing out the importance of minerals. I probably did not emphasize them enough. As long as I am using a good quality sports drink for fueling, I find I do not need to use mineral supplements like e-Caps or salt. 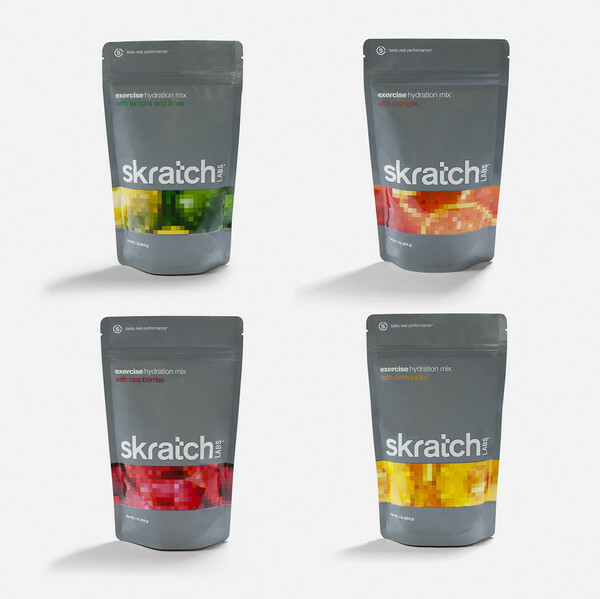 The Skratch brand sports drink (my current favorite) contains the following forms of minerals: sodium citrate, magnesium citrate, calcium citrate and potassium citrate. You are right, if you can alkalinize your body, it helps with buffering the acid that builds with high intensity efforts. Green foods are the natural way to alkalinize. Taking a little bit of baking soda (sodium bicarbonate) before intense efforts or short races is a research proven way to buffer the acid that builds up in the blood and muscles. Just make sure you take the baking soda on an empty stomach. And don’t take too much or it can cause severe GI distress! Can You Run Faster with the Nike Zoom Fly and Nike Vaporfly 4% Shoes?